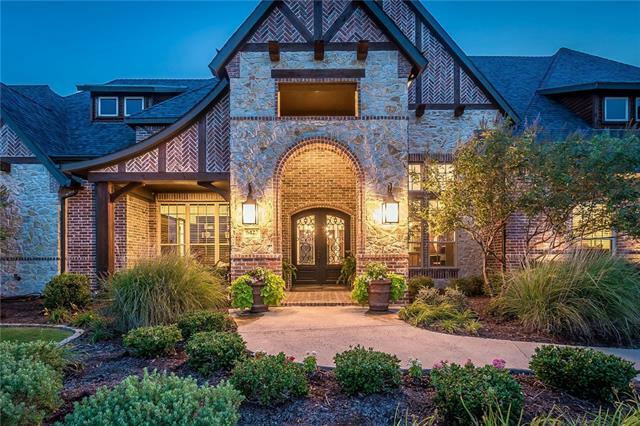 All Mckinney homes currently listed for sale in Mckinney as of 04/24/2019 are shown below. You can change the search criteria at any time by pressing the 'Change Search' button below. 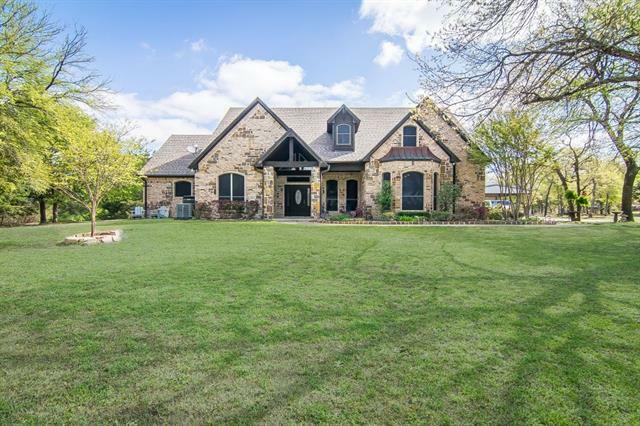 If you have any questions or you would like more information about any Mckinney homes for sale or other Mckinney real estate, please contact us and one of our knowledgeable Mckinney REALTORS® would be pleased to assist you. "Secluded, custom Tuscan Villa on 26+ rolling acres. Mediterranean masterpiece created for comfortable family living, resort-inspired relaxation & grand scale entertaining. Massive 20 ceiling living area, stunning kitchen with 8x16 butcher block island. Large 12-seat dining area & family room framed by 9 tall retractable glass walls create a walkthru outdoor living area with outdoor kitchen, resort infinity pool, 2 sunken fire pits & unique landscaping of Mexican Palms & Agave plants. 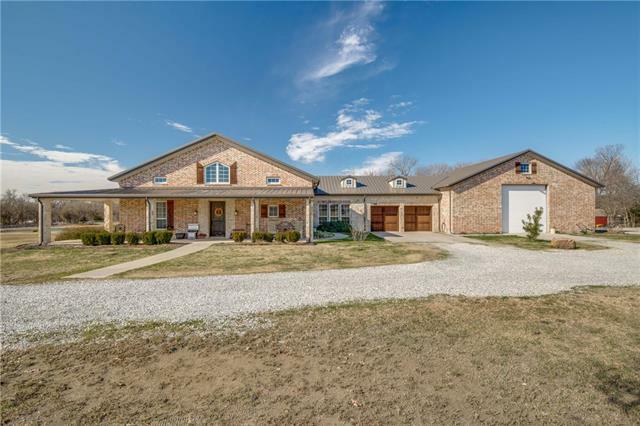 Off th"
"This unique Collin County property has much to offer... Minutes from Downtown McKinney, Fenced and cross fenced, cattle currently being run on the property. Mature trees, Approx 25% Wooded, 75% Pasture. 2 Livestock Barns, 30x40 shop with 24x30 carport and Man Cave. Some road Frontage on FM 2933. Possible neighborhood development site with water and sewer available. Property is located in McKinney s ETJ. One of a kind custom home, Stone and cedar exterior, Huge front porch overlooking approx 15"
"Five Lots combined into One Beautiful 16-acre land surrounded by trees with a creek in the back. Horses are permitted (up to 10). 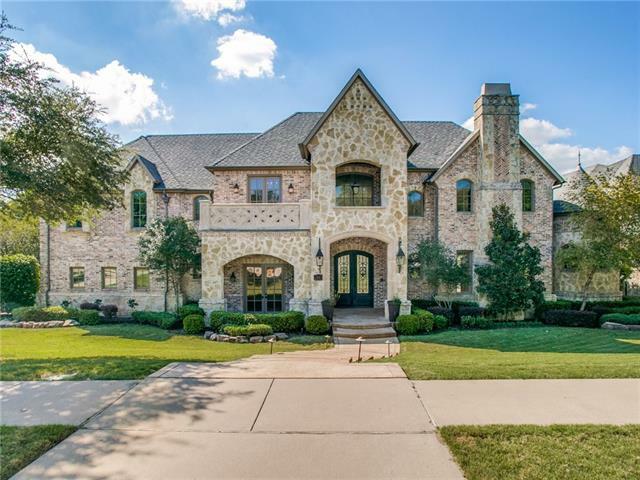 Located in a 680-acre Gated Luxury Community (Waterstone Estates), Heavily Treed Rolling Hills, Beautiful, Peaceful Country Living, about 12 minutes from the main gate to downtown McKinney. 4 Lakes in this community with a covered fishing pier on the main lake. A private community park. 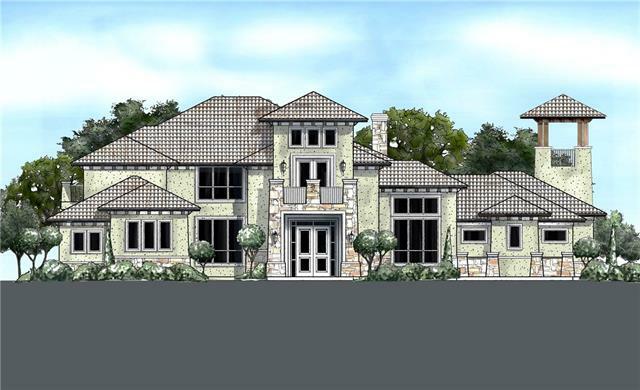 OakCrest will Custom Design and Custom Build your Dream Home to your spec and budg"
"Signature custom estate home with top golf course lot in DFW. 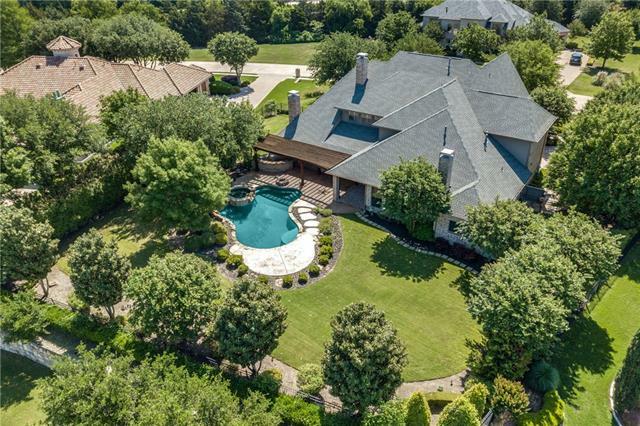 Exquisite panoramic views of 100+ acres on one of Dallas' Premier Country Clubs. 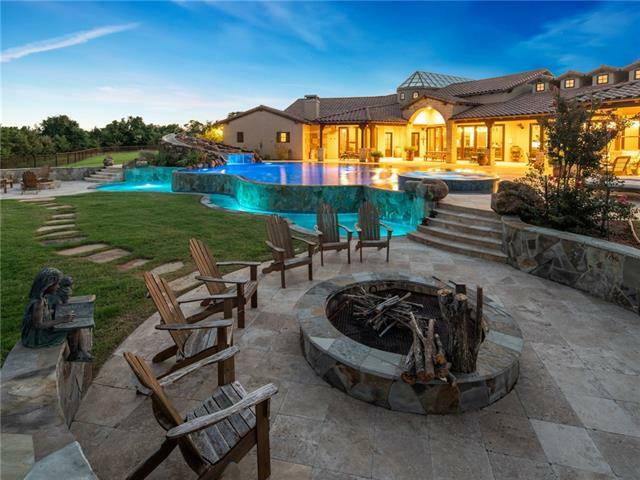 This luxury property boasts resort outdoor living space w-infinity pool, spa, outdoor kit, fireplace & fire pit all overlooking the lake & golf course. Kitchen satisfies the most discerning epicurean taste. Elegant Formals & Handsome study. 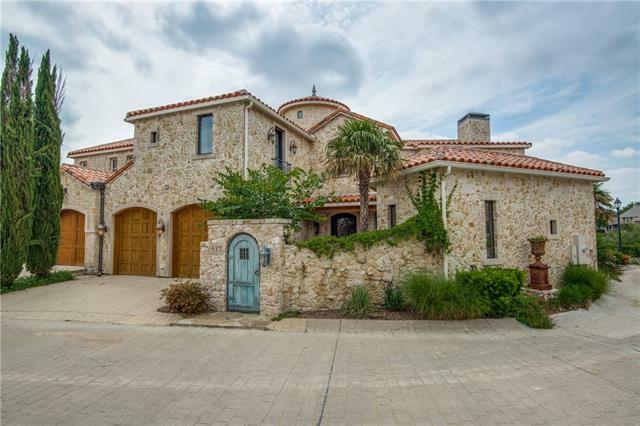 Fabulous Great Room with beamed ceilings, massive Austin stone fireplace, breakfast area, wine grotto + wet bar. Pri"
"NEW KITCHEN AND MASTER BATH!! 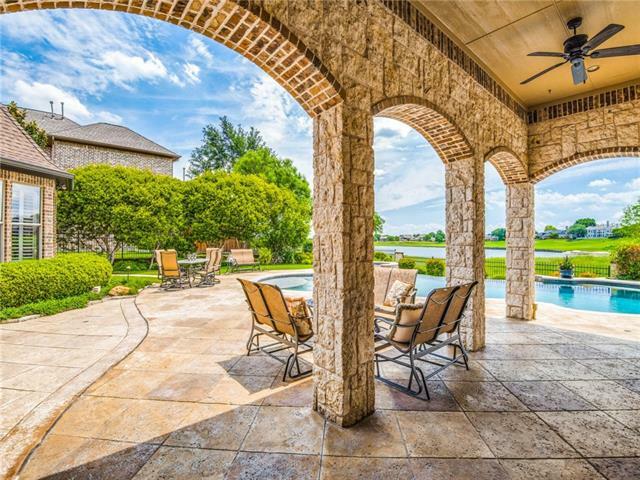 Exceptional estate property on 14.36 acres with Ag Exemp, Prosper ISD. 1 story custom home, infinity pool, spa, outdoor living with grill, fireplace. A gated driveway doubles as a 1200 ft.runway leading to your private storage bldg or hangar. 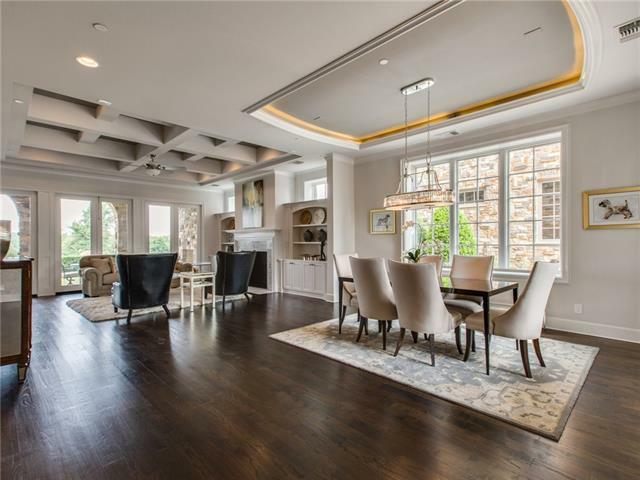 Interior features beams, handscraped hardwoods, gourmet kitchen, study w murphy bed. 4200 sq ft storage bdg. Has elec. and plumb. Perfect for RV, planes, boats, classic cars, or horses! 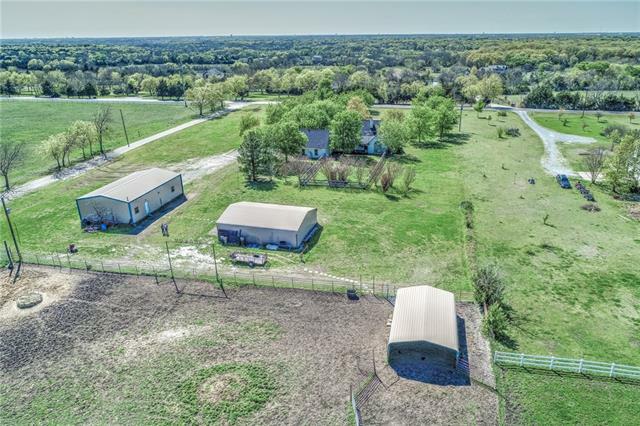 Steel room in laundry room is a tornado s"
"Perfect investment or commercial property located in McKinney ETJ at NWC Wilmeth and Ridge Rd across from the new Wilmeth Ridge subdivision. Beautiful high efficiency home with double insulated walls, roof, very low maintenance, workshop can be pool house with additional garage, has full bath, water, elec, plumbing, 14' doors, RV hookups, or could be add living space, guest suite, etc. 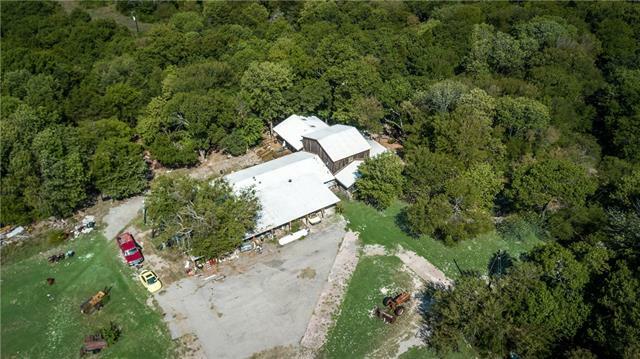 Property has gentle slope towards the creek, ponds, creeks, pastures, large barn. Lots to see with this prop"
"Lake Front Luxury Home. Custom Design and Custom Build to fit your budget & your needs by OakCrest Custom Homes. 680-acre Gated Luxury Community with heavily treed rolling hills, a private park, Playground, Basketball Court, Picnic Pavilion, Soccer Field, 4 Lakes and a Covered Fishing Pier on the Main Lake. Beautiful Peaceful Country Living. About 12-minute from Downtown McKinney Historic Square. Lots available from 1 acre to 16 acres. No City Property Tax! We can design and build your Dream Hom"
"One of a kind estate in the coveted Kings Lake. 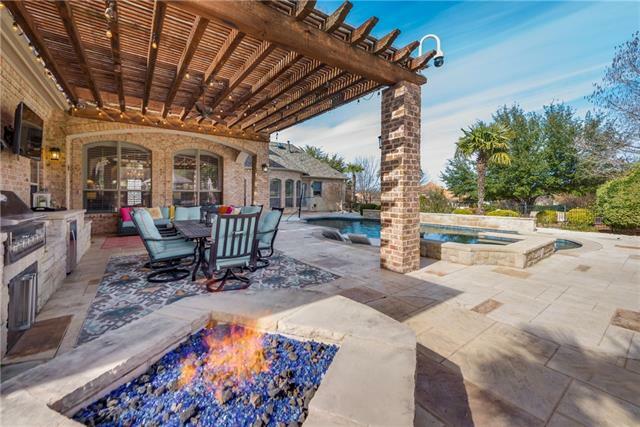 Situated on over a half-acre lot with views over an infinity edge pool, lake, & European inspired Adriatica village makes for sunsets & evenings incomparable to anywhere else in North Texas. Owners spared no expense in detail or construction on this estate. Entertainers paradise as you walk through the foyer with 30 ceilings, into formal with open gourmet kitchen opens up to an oversized family rm and wet bar. Living rm has expansive floor to ce"
"Custom Beauty inside Gated Community on over 4.5 acres. Serene Cul-de-Sac location with lots of mature trees. Home has 5 living areas, Media room, game rooms, Stunning Library with pass through Fireplace. Wine Cellar off formal dining. Spacious downstairs Master with customizable closet. Second bedroom confutation downstairs could be second master or Staff living quarters. Show quality kitchen with professional grade Range, Oven, 2 Dishwashers, Warming Oven, built in Fridge. Impressive Outdoor "
"Once in a rare while will a truly magnificent home such as this be available. Built without compromise, this Mediterranean masterpiece has unmatched quality & refined finishes throughout this luxurious waterfront home.You will never tire of the panoramic water views while having dinner in your state of the art dining room, on the first flr balcony that has a remote screen or enjoying a cold drink after playing a game of pool, on your second story balcony.This exceptional home has a darling court"
"Creating a home experience that is perfectly suited to both entertaining AND family life isn't usually possible. Meet the exception: this gorgeous Mediterranean offers the best of both worlds. When it's time to entertain, enjoy darts or shooting pool in the large gameroom or impress your friends with the large outdoor entertaining area. When family time is the focus, you will enjoy the large rooms, oversized back yard, splashing in the pool or watching movies in the theater. Oh, and don't forget"
"Beautiful waterfront lot in Gated and guard house community of Kings Lake in Stonebridge Ranch on .8 acre Lake lot. An abundance of trees, a negative edge pool, outdoor fireplace, and two covered patios create a relaxing outdoor living space. There is character throughout this French Country home with stunning curved ceiling beams, huge kitchen island, paneled appliance doors, and unique carved wood accents. 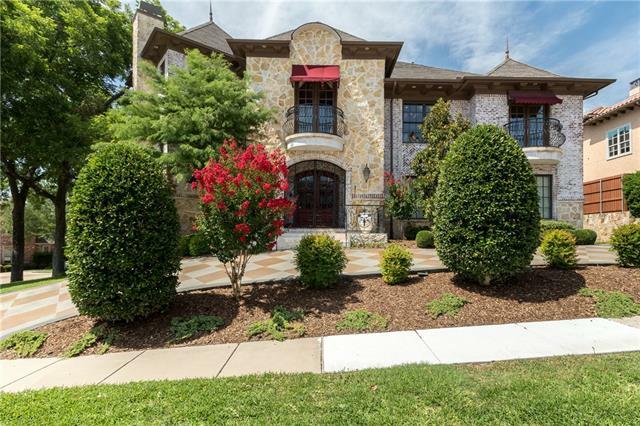 The master overlooks the water, has two separate toilet areas, separate vanities and a l"
"A rare opportunity to own one of the nicest homes in McKinney. 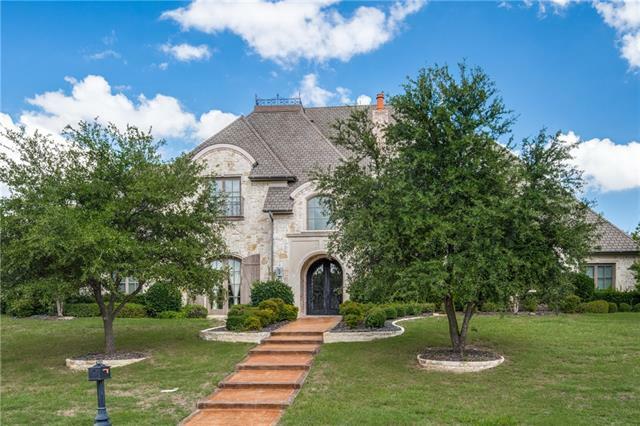 As you enter into the only guarded gated community in McKinney you will notice nothing but perfection with this desirable location that is surrounded Kings Lake. This custom built French Country Estate will not disappoint even the pickiest buyer as the home exudes quality. Fabulous desirable floor plan that includes gorgeous master retreat, chefs kitchen that opens to living area, study, game room and media, all large bedrooms this h"
"Country living! Lovely 11 acre property with tree lined driveway. Beautiful Oak and Bradford Pear trees in front yard. Plum trees, peach trees, and Crape Myrtles. Large metal workshop on slab with electric, shop lighting, two over-sized bay doors and exterior door, suitable for RV storage. Additional metal storage building with asphalt floor, 1 garage bay door and ext door. Metal loafing shed with additional storage. Improved Pasture (approximately 8 of the 11 acres) has pond and is curren"
"RESORT-STYLE OUTDOOR LIVING-FIRST FLOOR MEDIA-INCREDIBLE MASTER WING W BAR & FIREPLACE-2ND MASTER SUITE-GATED NEIGHBORHOOD-DON'T MISS THIS ONE! Breathtaking inside and out! 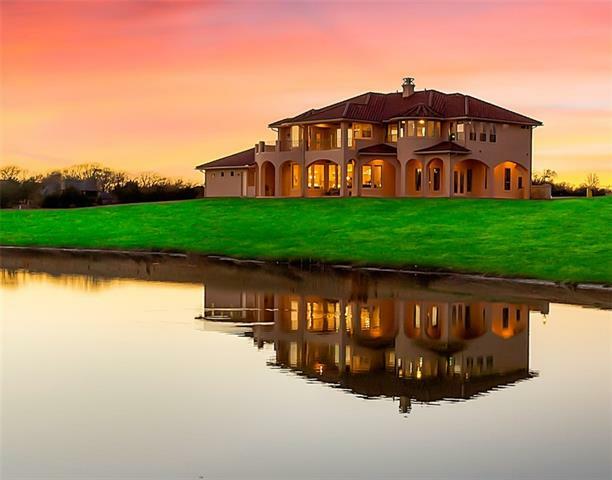 Incredible estate on just under an acre in gated Stonebridge Estates. FABULOUS outdoor living & backyard w play pool, attached spa, built-in kitchen, huge cov'd patio, private cabana & multi-tiered yard. Impressive entry w marble floors, handsome study, wet bar & spacious living room w massive stone FP. High-end kitchen w 4 "
"Location, location! 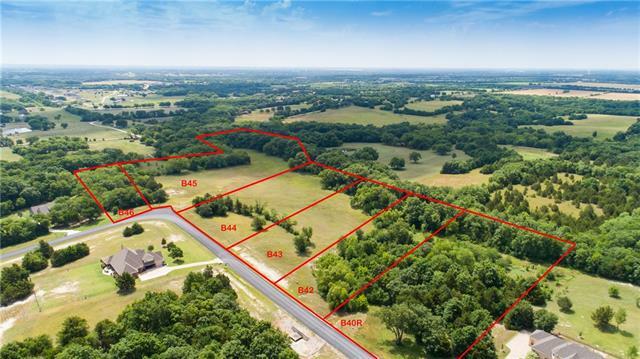 This is an excellent opportunity for commercial, light industrial or a residential developer to secure 12.66 Acres in the rapid developing area near the Collin County Loop, which is currently under construction and near the National McKinney Airport. There is an occupied home on the property, but the value is in the land. The owner currently has an agricultural exemption with cattle grazing the property. The acreage offers cleared grass lands, beautiful areas with trees and "
"Country Estate Living at its Best! Best sf price in McKinney! Amazing elevation. Gorgeous flrpln, fantastic details & finishes. 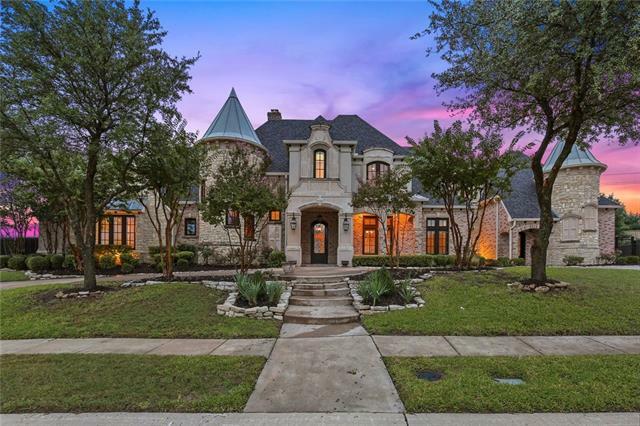 Stunning foyer w dramatic spiral staircase & soaring ceiling, 2 stry library, elegant frml living & dining, Chefs kitch; open family rm w ent cntr & FP, bkfast & wet bar; 1st flr media; lavish master w sitting area, luxurious spa bath w his & her closets. Party rm w huge sliding doors open to pool; Upstairs has 3 bedroom stes, gamerm, MIL quarters w mini kitch; spectacu"
"Come see this newly finished luxurious residence overlooking the renowned TPC golf course at Craig Ranch! Live the perfect lock & leave lifestyle with every modern convenience. You will enjoy this spacious, open layout with an elegant modern transitional style. Relax and enjoy the best views in McKinney from this rare 3rd floor balcony. Every 17 Green home includes an elevator, 2-car garage plus bonus golf cart garage." "Classic Mediterranean Beauty awaits you.This GEORGE FULLER custom home features large spaces and pristine views of the Dye Course.The home feature an expansive living room with a large dome and fireplace.To the left is a spacious study-library with bookshelves and fireplace.The dining room is large enough to entertain many guests. From the wine cellar to the family room and gourmet kitchen, you will appreciate the true custom features of this home.Large master suite with sitting area and firepl"
"Incredible One of A Kind Estate on Pete Dye Course in Stonebridge Ranch's desirable gated community - Isleworth. Enter the dramatic iron double door entrance and see a stunning wine grotto and wall of windows with panoramic view. Newly refinished hardwoods and neutral colors. Huge kitchen with tons of furniture style cabinetry, butlers pantry and wet bar. Handsome study with full bath as well as another bedroom and bath along with luxurious master bedroom all downstairs. Upstairs 3 large bedroom"
"Unique opportunity to own 40+ heavily treed acres of land that you could build your dream home on & have the 2 existing homes as rental properties on it. The homes will need work, the value is in the land. 1 bedroom and 1 bath Bunk house is attached to barn and is 48x61, Additional barn is 50x32, shed-stable area 33x18, plus corral. There is a 91x32 one story metal shop off the main house that has power to it. 2 additional sheds are 12x24 & 12x16. Property has front to a conservation reservoir. " "European inspired former parade of homes model! Media room on 1st floor!Master plus 1 bedroom on 1st floor! Elevator! Impressive Wine Grotto! 20x18 Lanai with exterior fireplace & Auto Phantom Screen!Library sores to the second floor! 6 bedrooms, 6th bedroom makes great exercise room! Covered Patio on 2nd floor with fireplace!Grand kitchen with dual dishwashers, warming drawer & much more!Impressive master suite with adjoining serving coffee bar!" 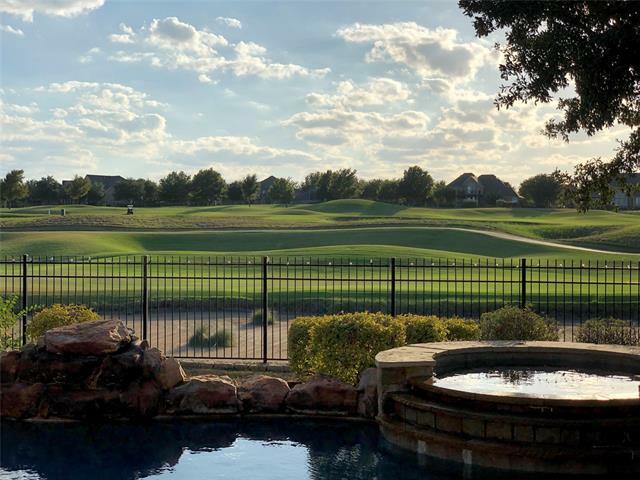 "Enjoy stunning views from one of the highest points in McKinney, while relaxing under the approx 30 X 40 ft cov patio with fireplace, and outdr kitchen! Enjoy the fire pit, gorgeous pool w spa, and a HUGE play yd! 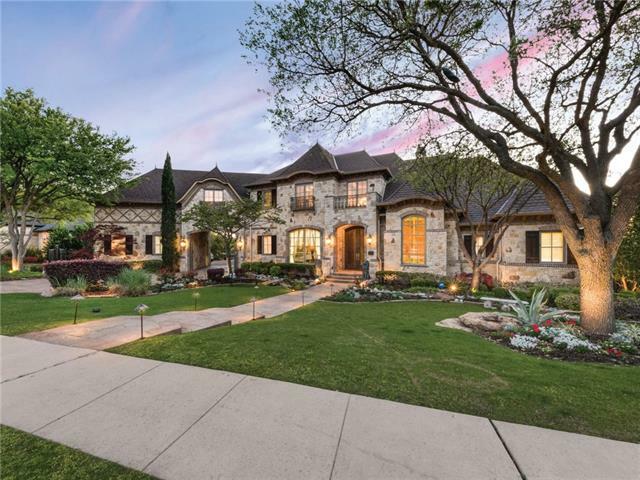 This True Custom home is perfect for entertaining w its open flr plan, sep wet bar w ice maker, game rm, media rm, and exercise rm, Extensive updates include, the reconfigured kitchen, including cabinetry, counters, lighting, & more! Other updates include int paint, all carpet, update"